Casa Bel Sole is a property search agency that operates in Italy and covers Tuscany, Umbria, Lazio, Campania, Abruzzo and Lombardy (Lake Como). Searching for overseas property in Italy? 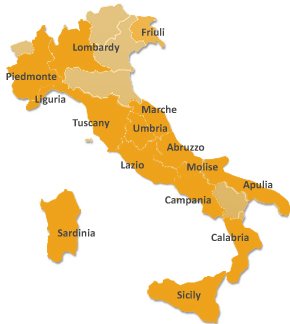 Our property finding service is aimed at buyers looking to purchase a property in Italy. Serious property buyers: finding a property in Italy can be a time consuming business especially when many web sites hold historical data. Our overseas property finding service will take the strain out of finding your dream property in Italy by presenting to you properties that matches your criteria. • The best choice of properties in Tuscany, Umbria, Lazio, Campania, Abruzzo and Lombardy (Lake Como). Let me do the job for you. 1. Where in Italy are you looking for a property? 2. Are you looking for a villa/farmhouse/apartment/historic property/other? 3. How big a living area do you require (in feet or sqm)? 4. How big do you want the ground (land?) to be (in feet or sqm)? 7. Do you require an outdoor pool?